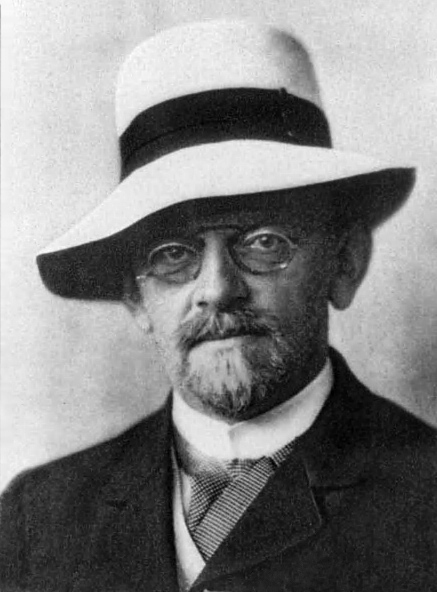 1912 Photograph of David Hilbert. Image: public domain, via Wikimedia Commons. There have been many born who have had an impact on the field of mathematics; however, there are few who can be said to have discovered as many fundamental ideas as David Hilbert. He is known to many as one of the most influential mathematicians of both centuries he lived in. 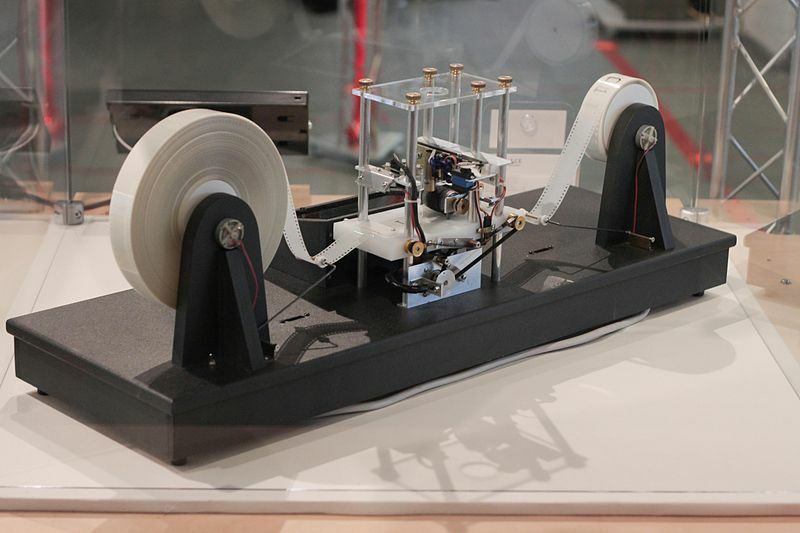 Not only did he solve many of the most pressing issues in mathematics at the time, he also created many of the tools used in the field to this day. Born on the 23rd of January in the year of 1862, Hilbert began his seventy-nine year journey towards becoming renowned. He was the first child born and also the oldest. His father worked in the town of Konigsberg at the time while his mother tended the house. His mother was fascinated by prime numbers and astronomy. She taught him from home until he could enter his school, the Royal Friedrichskolleg. This was known as one of the best places to gain an education at the time, however, it didn’t stress science and mathematics as much as one would expect. Hilbert always demonstrated his love for the fields, however, and graduated with the top score in mathematics. He graduated in the fall of 1885 where he began his journey towards higher education. His father disapproved of his choice towards higher education but this would not impact the soon to be brilliant mathematician. The University of Königsberg was Hilbert’s next step in his educational journey. He turned his focus towards the field of mathematics, specifically calculus. Graduating with a doctorate degree focused on that of binary forms he accepted a job at a different university to work at the as a lecturer. He later traveled to the University of Gottingen as a lecturer for them as well. This new university was famous for producing many of the great minds of the time. Many of these were his colleagues and his classes were filled with brilliant young minds. A few years after this he became the editor of one of the most prevalent mathematical journals of the time. He soon became bored with this, however, and he made several trips to alleviate it. He planned to visit the twenty one greatest mathematicians of the world at the time, and after meeting a few he returned to work on solutions to some of the world’s greatest mathematical problems. While working for his university in 1888 Hilbert demonstrated his first major contribution, which is that of the finiteness theorem. This famous theorem is the solution to Gordan’s Problem, which deals with how to represent infinitely many objects with finitely many building blocks. By taking a different approach than previously thought Hilbert backed his proof with the law of excluded middle to demonstrate that there could be a finite set of generators for binary forms. He went beyond what Gordan did by proving that the problem could be solved with more than two variables. Hilbert sent his results to be published in a journal where they would eventually be received. Although his result were dubbed to be one of the most important results that had happened to algebra it became very difficult for Hilbert to get them accepted. Due to the completely different approach he used Gordan did not admit that Hilbert’s method solved the problem on finite basis. This revolutionary idea itself became an issue to Hilbert as he had to go through many trials to get it known and accepted. Due to the fact that not all accepted this proof even after it was published, Hilbert was antagonized by several mathematicians. It took until another mathematician, Felix Klein, reviewed the proof many years later that it was accepted. In the year of 1900 Hilbert created and proposed a list of 23 problems, those that were the most influential of the time. These problems included the Riemann hypothesis, solving a 7-th degree equation with algebra and proving that the arithmetic axioms are consistent. Due to the powerful change he made to geometry he now could gather the entire mathematical community to solve what was once unsolvable. He presented his problems to the International Congress of Mathematicians in Paris. The problems used were not all Hilbert’s creations as many were long known about and Hilbert had attempted to solve them yet failed. Some of these problems still remain today as challenges for our current mathematicians. This is due to the either precise or vague nature of each individual problem, as some leave much up to interpretation while others are extremely focused on one goal. Hilbert himself was very doubtful that these problems would be solved in the near future. The list of problems have been the focus for the mathematical community for years, and many people have tried to solve them. Any progress made would immediately be spread around and published into journals. However he believed that every problem had a solution. Hilbert’s Fifth Problem, from the journal of Andrew Mattei Gleason. Image: Jean Berko Gleason via Wikimedia Commons. What can be known as his greatest work is that on the field of equations. He stated that although there are an infinite number of equations they could be broken down to a finite number that could be used as building blocks for the others. He was unable to create this finite set, however, and this caused many to disregard this theory. Regardless of this a new field of mathematics was born. Hilbert’s vast knowledge of mathematics allowed him to accomplish many things, and as a result he has many different terms named after him such as Hilbert curves and Hilbert space. By furthering and discovering many principles in his field he became known as the most famous mathematician of his time. Later in his life Hilbert would publish a book called Grundlagen der Geometrie or the Foundations of Geometry. In this book he creates axioms to replace those made by Euclid and they lacked the flaws that Euclid’s had. This book also defines the once undefined terms used in prior books. This book is the overview of Hilbert’s views on geometry. Later on Hilbert sought to solve the foundational crisis of mathematics and in doing so he created a problem known as Hilbert’s problem. This problem was based around the foundational crisis of mathematics. It clarifies of the foundations of mathematics and in doing so it solves the problems based around their inconsistencies, these include paradoxes. It was, however, later proved to be impossible to solve Hilbert’s problem. It is also to be noted that at the same time as this book was published, another book based off of the same axioms was published by Robert L. Moore. Hilbert was not exclusively a mathematician, as he was interested in the field of physics as well. One of his many trips he went to Bonn where he delved into the field. He investigated many problems while on this trip. His main focus was towards that of gasses and radiation, moving from the former to the latter over his career. His work was followed by Einstein’s work very closely and he even invited Einstein to his university to discuss it. Hilbert once again published a book based on the axioms he studied, this time on the field of physics. It allowed for steps to be made forward in the field of quantum mechanics as well as vastly impacting other famous mathematicians such as Schrodinger. In the final years of his life Hilbert was the editor of one of the most prominent mathematical journals of the time, Mathematische Annalen. He retired from the university when he was 68 in 1933, due to the harsh rules imposed by the new Nazi regime that was beginning to take hold over the government. In the end Hilbert died due to health complications in 1943 only 10 years after his retirement. His funeral was attended by few people and his death was not known until many months later. Hilbert may have been forgotten by many at the time yet today he is remembered as one of the greatest mathematicians of his time. This entry was posted in European mathematics and tagged hilbert on March 9, 2015 by u0352402.